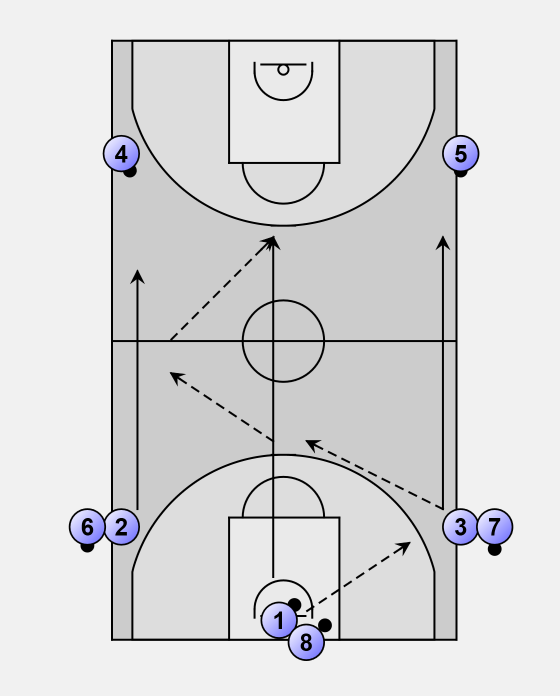 5 Balls and 8 players are required for this drill. Players marked 1, 4, 5, 6 & 7 have balls at the start of the drill. We have a 3-man rush (1,2 & 3). 1: drives to the basketball for a lay-up. 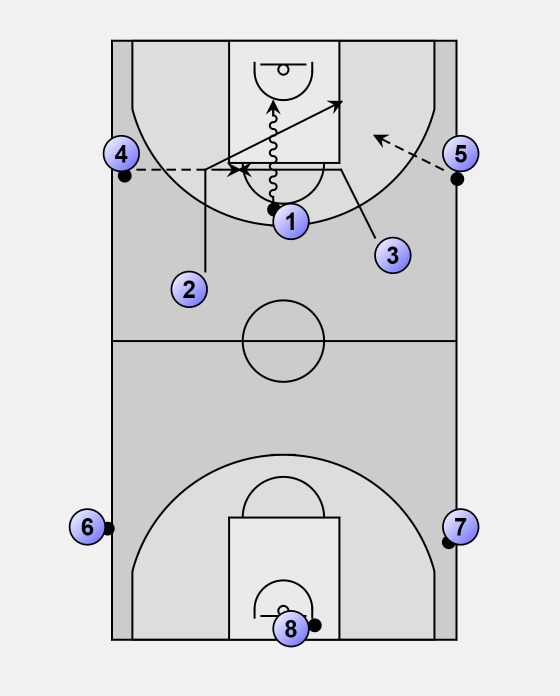 2: flashes from to the low block (and receives pass from 5). 3: shoots across the elbow (and receives pass from 4). On the return leg, 1 collects own rebound & the drill continues down the floor with 4 & 5 stepping up. 2 & 3 collect own rebounds then replace spots vacated by 4 & 5. The drill continues in this fashion. We always set targets for this drill and penalties apply. 80 makes in 3 minutes (3/3 conversions) and usually do a line sprint for each shot we are short and a push up for each miss. Penalties are done as a group.